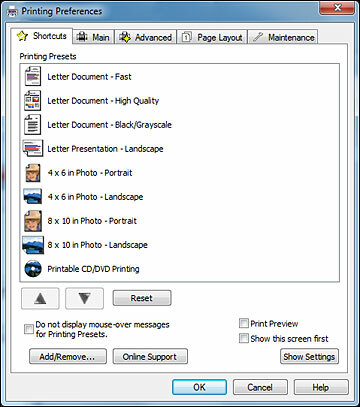 For quick access to common groups of print settings, you can select a printing preset. Note: You can create your own preset by clicking the Save Settings button on the Advanced tab. Place your cursor over a Printing Presets option to view its list of settings.